Clients need answers, not just legal analysis. Whether it’s a labor dispute, a discrimination complaint, or a high stakes wage and hour question, Pete balances legal insight with over 20 years of practical experience to help employers solve their most challenging labor and employment problems. 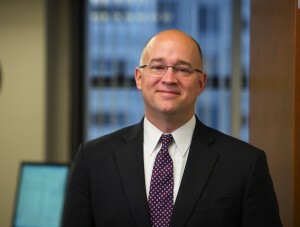 Peter J. Moser (“Pete”) has represented employers for more than 20 years in the areas of traditional labor law, employment law, and related litigation. He is an adjunct professor at Boston University School of Law and previously served as an adjunct professor at Boston College. Pete has made several television appearances as a legal expert on WGBH’s Greater Boston, as well as television appearances on Fox25 News, WCVB and WBZ. He has been quoted on WGBH radio, in Massachusetts Lawyers Weekly, the Boston Herald, the Boston Globe, and Huffington Post. Pete currently serves on the steering committee for the Labor and Employment Section of the Boston Bar Association (BBA) and he is on the editorial board of Bender’s Labor and Employment, a monthly publication of LexisNexis. Pete is listed in U.S. News and World Report’s Best Lawyers in America and has been recognized by Massachusetts Super Lawyers since 2009. With respect to traditional labor law, Pete has helped a wide array of unionized employers deal with most major labor organizations, including the SEIU, Teamsters, UAW, MNA, AFT, UFCW, UNITE-HERE, Steelworkers, IUE/CWA, and others. He represents unionized clients in collective bargaining, in the processing of grievances and arbitration proceedings, and in proceedings before the NLRB. Pete assists non-union clients through proactive vulnerability assessments and by training managers and supervisors in best practices. He has helped many non-union clients in the successful defense of union organizing campaigns. A significant part of Pete’s practice is devoted to counseling and training. He helps employers avoid litigation and disputes through effective counseling on a daily basis. Over the course of his career, Pete has trained thousands of managers and supervisors across numerous states. He helps clients draft and revise their employment-related forms and documents, including: employment contracts, restrictive covenants, compensation plans, employee manuals, application forms, disciplinary forms, internal investigation reports, and employee communications. With respect to employment litigation, Pete has successfully defended against claims of discrimination, harassment, retaliation, wrongful discharge, and wage and hour violations, among others. He is also experienced in litigation involving non-competition agreements and other restrictive covenants. Pete has handled employment litigation in federal and state courts in Massachusetts, and he has appeared before a host of federal and state agencies including the Massachusetts Commission Against Discrimination, the Equal Employment Opportunity Commission, the Occupational Safety and Health Administration, the Massachusetts Division of Unemployment Assistance, the Massachusetts Department of Industrial Accidents, the Wage and Hour Division of the federal Department of Labor, and the Massachusetts Attorney General’s Fair Labor Division. Successfully represented a multi-location fast food restaurant franchisee and its owner in connection with a claim by a manager alleging that the owner had sexually harassed her and later retaliated against her for rejecting his advances. Successfully demonstrated that the claims were fabricated. Dismissal in favor of employer and owner on all claims. Successfully represented a large not-for-profit human services agency in the defense of claims brought by former social worker employee alleging disability discrimination and failure to provide reasonable accommodations. Dismissal in favor of employer on all claims. Successfully represented footwear-industry manufacturer in defense of claim by employee alleging disability discrimination in connection with her inclusion in lay-off. Demonstrated legitimate non-discriminatory reasons for inclusion in lay-off, achieving dismissal in favor of employer on all claims. Successfully represented manufacturer in defense of claim of sexual orientation discrimination in connection with employee transfer. Demonstrated legitimate non-discriminatory reasons for transfer, resulting in dismissal in favor of company. Successfully moved to dismiss former employee’s claims against transportation company in which plaintiff alleged civil rights violations and public policy violations in connection with his termination. Dismissal based on preemption by the National Labor Relations Act, due to plaintiff’s claim that his termination was due to union organizing activity. Also succeeded in dismissing claims of tortious interference with plaintiff’s alleged employment contract. Williams v. Commonwealth Limousine Service, Inc., 9 Mass. L. Rep. 493. Represented commercial laundry involved in workplace fatality. Handled OSHA investigation, press information, workers compensation issues, and threatened litigation by employee’s estate and family. By cooperating fully with OSHA and by promptly enlisting the services of a respected OSHA safety expert and a multi-lingual crisis management team, and by dealing in a thoughtful and open manner with the deceased employee’s family, union, and other employees, the financial exposure to the company was limited to several thousand dollars and the impact on the workforce was minimized. Represented food company in connection with severe injury to temporary worker and resulting claim. Despite the lack of clarity in the law as to whether claim was covered by general liability policy, negotiated a six-figure contribution from carrier towards settlement of claim. Successfully resolved a difficult age discrimination claim for a manufacturer client in which plaintiff insisted on pursuing a jury trial and steadfastly refused to issue a monetary demand. Shortly before trial, and following a full-day mediation session attended by plaintiff’s spouse, plaintiff agreed to a creative settlement package which included a sit-down exit meeting with high ranking managers of his former employer. Subsequently, plaintiff attempted to repudiate the settlement agreement and proceed to trial. Convinced court to confirm and enforce settlement agreement. Patsky v. Surprenant Cable, 13 Mass. L. Rep. 411. Successfully resolved, pre-suit, a sexual harassment claim alleging egregious conduct by founder and president of start-up technology company. Initial demand on behalf of two young female claimants sought over $3M. Worked with a third-party case evaluator / mediator over a period of several weeks to settle the claim at a small fraction of the initial demand figure. By settling the claim pre-suit, the client’s ongoing critical financing efforts were not adversely affected. Represented a restaurant franchisee in the successful resolution of a difficult case involving a lawsuit brought by the mother on a minor female employee. The mother alleged sexual harassment and negligent retention in connection with a romantic relationship between her minor daughter / employee and a married manager nearly 20 years the employee’s senior. Settled the case on very reasonable and amicable terms, maintaining confidentiality and avoiding disruption to business. Successfully represented individual defendant, through his new employer, in defense of claim brought by a prior employer attempting to enforce overbroad and onerous non-competition agreement. Convinced single justice of the Appeals Court (Cypher, J.) that preliminary injunction issued by lower court should be vacated. Successfully resolved litigation thereafter in a manner allowing defendant to continue working, free from any onerous restrictions. Eastern Bag and Paper Co. Inc. v. Ross, 2007 Mass. App. LEXIS 1405. Supervised successful defense of high-profile non-competition litigation in NY between two Massachusetts-based transportation companies. The case received press in both Boston Magazine and The Boston Globe. Successfully defeated plaintiff-competitor’s attempted preliminary enforcement of non-competition agreements that would have prevented the hiring of several employees of plaintiff-company, and ultimately settled claim on very favorable non-monetary terms that allowed disputed employees to continue working as hired. Successfully defeated motion for preliminary injunction filed by prior employer of general manager of auto dealership attempting to enforce non-competition agreement that would prevent manager from joining a competing dealership. Convinced court to deny plaintiff’s motion on the grounds that the agreement was overbroad and not necessary to protect prior employer’s interests. Successfully resolved case on favorable terms shortly thereafter. Drafted national non-competition agreement for major electronics retailer. Agreement drafted to comply with varying state laws and tailored to meet client’s unique needs. Drafted multi-state non-solicitation and confidentiality agreement for large chauffeured transportation company. Crafted agreement to comply with state law in several jurisdictions, and tailored to protect business needs in connection with various job positions. Serve as labor counsel and chief negotiator for several well-respected non-profit human service providers in contract negotiations; have successfully negotiated multi-year successive agreements, with no labor disruption, despite increasing challenges in state funding requiring wage and benefit freezes or minimal increases. Serve as labor counsel and chief negotiator for community health centers, manufacturers, and other for-profit and not-for profit companies in contract negotiations. Represented nationally known food company in contract negotiations with Teamsters in NY, successfully negotiating difficult benefits issues such as transitioning employees from a defined benefit pension to a 401(k) plan, with no labor disruption. Successfully assisted Massachusetts nursing home in defending against union organizing drive. Direct care staff voted against unionization by SEIU in an NLRB election. Successfully assisted national electronics retailer in the defense of union organizing drive in Philadelphia, PA. Company’s drivers voted against representation by Teamsters in NLRB election. Represented and advised non-profit organization in successfully managing a nine-week labor strike by the SEIU. Successfully assisted community transportation company in defense of union organizing drive by Amalgamated Transit Union. Representation petition withdrawn by union. Successfully represented non-profit human services provider facing union organizing drive. Embarked on an intense program of manager training and employee education, resulting in the dissolution of the organizing drive without a representation petition being filed by union. Secured victory in arbitration for non-profit human services employer regarding complicated payroll dispute. In a calendar year containing an extra pay period, Employer had adjusted bi-weekly pay to ensure that contractual annual salary amounts were maintained. The extra pay period would have represented an unbudgeted additional expense of several hundred thousand dollars for the agency. Union filed a grievance and demand for arbitration, unsuccessfully arguing that the payroll adjustment constituted an improper pay reduction. Successfully represented ambulance company in court, achieving summary judgment award defeating union’s attempt to expand a labor arbitrator’s decision under the guise of an enforcement action. Successfully represented unionized ambulance company before the National Labor Relations Board (NLRB), persuading NLRB not to issue a complaint in connection with an unfair labor practice charge alleging that the company had implemented a unilateral change in working conditions by virtue of its new discipline procedures. Successfully represented not-for-profit human services provider before the National Labor Relations Board (NLRB), persuading NLRB not to issue a complaint in connection with an unfair labor practice charge alleging that the employer had fired a manager for engaging in protected concerted activity. Successfully represented health care employer in labor arbitration, where Union challenged discipline imposed on employee. The arbitrator found in favor of the company, determining that there was just cause to uphold the discipline in light of the employee’s insubordinate behavior towards her supervisor and her violation of patient’s rights. Successfully represented human services provider in labor arbitration regarding the discharge of an employee for tardiness and attendance infractions. The arbitrator found that there was just cause to support the determination decision, in light of the employee’s prior record of attendance problems and prior disciplinary history. Successfully represented human services provider in collective bargaining negotiations, reaching agreement with union over pension freeze and implementation of new 403(b) retirement plan. Created two-day training program for supervisors of a large unionized utility company, focusing on contract compliance, supervisory skills, and other labor issues. Conducted program dozens of times for different supervisory groups. Created half day training course for supervisory and managerial employees of multi-location restaurant franchisee. Training focused on employment law compliance and improvement of supervisory skills. Created and presented dozens of union avoidance and supervisory skills training sessions for front line supervisors of employers in industries vulnerable to unionization. Created unique innovative and interactive 90-minute sexual harassment training program, presented to dozens of clients. Presented over 100 managerial training sessions on topics including “Hiring,” “Discipline and Discharge,” “Managing Leaves of Absence,” “Putting the SUPER in Supervisor,”“ Top Ten Wage and Hour Mistakes,” “Workplace Violence,” “Employment Law 101,” etc. Managing multiple class action and threatened class action wage claims brought against transportation company in New York City. Represented cleaning company in the successful negotiation and resolution of citations issued by Attorney General’s Office in connection with alleged misclassification of employees as independent contractors. Filed appeal with Division of Administrative Law Appeals and greatly reduced citations. Represented restaurant in connection with alleged failure to pay overtime to employees. Demonstrated to federal Department of Labor, Wage and Hour Division, that employer’s flat-rate pay system was calculated to include overtime, thereby allowing resolution of the audit on very favorable terms. Drafted national commission-based pay plan for major electronics retailer. Plan drafted to comply with FLSA exemption for retail commissioned salespersons (section 7(i)) and multiple local state law variants. Drafted national incentive-based pay plan for international fundraising company whose on-the-street solicitors attract donations for the company’s non-profit clients. Drafted plan to comply with FLSA minimum wage and overtime requirements for non-exempt employees, yet simultaneously include several incentive based pay components. Drafted national incentive-based pay plan for mortgage brokers / counselors. Drafted plan to comply with FLSA minimum wage and overtime requirements for non-exempt employees, yet simultaneously include several incentive based pay components. Between 1994 and 2008, Pete practiced in the labor and employment section of a large regional law firm, Robinson & Cole LLP. Pete was made a partner of Robinson & Cole LLP in 2006, and co-chaired the firm’s Non-Competition and Trade Secret Protection practice group.